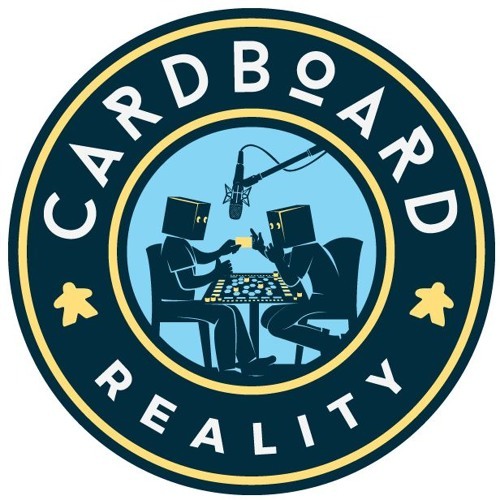 Episode 46 - It's Been Real 2018 - On the first episode for 2019, we discuss Imperial 2030, War Chest, and the new Dinosaur Island: Totally Liquid expansion. We also look back at our 2018 board game resolutions and make some for 2019. To wrap up the episode, we reveal our 2018 game awards, including a special Keepin' It Real segment from James. Enjoy the show! 00:00 - Intro/Banter 02:50 - New website articles 08:30 - Annual Board Game Exchange 27:00 - Imperial 2030 42:20 - Dinosaur Island: Totally Liquid expansion 53:00 - War Chest 1:08:30 - Napoleon: The Waterloo Campaign 1:23:45 - Board Game Resolutions 1:50:40 - 2018 Board Game awards (plus Keepin' It Real awards) 2:53:20 - Closing Comments Patreon - https://www.patreon.com/cardboardreality Website - https://www.cardboardrealitypodcast.com/ Facebook - https://www.facebook.com/cardboardrealitypodcast/ Twitter - https://www.twitter.com/CardboardRealit YouTube - https://www.youtube.com/channel/UCbWYSLk_hvqmCy4LPQEyzXg/ BGG Guild - https://www.boardgamegeek.com/guild/3124 Email - cardboardrealitypodcast@gmail.com Now remember, no matter where you are or what you’re doing, keep cardboard gaming a reality in your life.